Gotta Love That Ferrari, Joe Kelly! 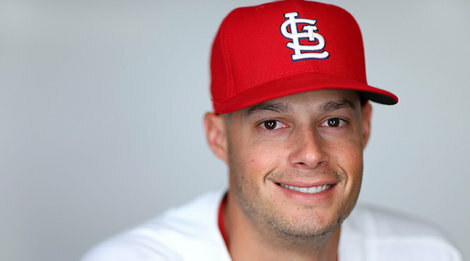 Where would the 2013 Cardinals be without Joe Kelly? Thankfully, they don’t have to wonder. The “Ferrari in the garage” that is Kelly has been doing what any sports car should: cruising along and providing a lot of happiness (to Cardinals fans, at the very least) along the way. Last night, the Cardinals won for the seventh time in the eight starts he’s made since officially joining the starting rotation on July 6 — they beat the Braves 6-2. And while the Ferrari didn’t necessarily achieve optimum performance last night, he motored along well enough for six innings and allowed the Braves two runs on a Justin Upton homer, one of seven hits he allowed while striking out three and walking two. Nevertheless, the Ferrari is thankfully now getting regular use — and the Cardinals are definitely benefiting as a result. The Cards offense also benefited, eventually, from facing a just-back-from-the-disabled-list Paul Maholm. He was strong starting out, keeping the Cardinals hitless until the fourth inning when Matt Holliday led off with a double. They manufactured a run after that, with Holliday moving up to third on an Allen Craig fly-out and scoring on a David Freese ground-out. That lead was short-lived, with Upton’s homer (with Maholm on base) came in the top of the fifth. But then the Cards offense took over. With two outs in the fifth and Pete Kozma on second, consecutive doubles by Matt Carpenter, Carlos Beltran and Holliday scored three runs. They added another in the sixth when Shane Robinson, who had singled, advanced to third on a throwing error Andrelton Simmons and then scored on a wild pitch. (Another manufactured run!) The final run scored in the seventh after singles by Carpenter and Beltran, a GIDP by Holliday (OK, some things continue to happen even on good nights by the offense) and a single by Freese. It was all great to see … minus the GIDP. The bullpen took over from there with Kevin Siegrist, Michael Wacha and Trevor Rosenthal pitching an inning apiece. Each allowed one baserunner, but that was all. Getting the series against the Braves started with a win was obviously important too. For one, the Cardinals haven’t had much success against Atlanta in the past couple years — they won only one regular season game last year (and, of course, the wild card game). And, for another, every series in St. Louis between the Braves and Cardinals since 2009 has been a sweep, according to Chris Tunno of the Cards. There’s a streak, just like the team winning the last five of Joe Kelly’s starts, that we all hope continues. This entry was posted in 2013 Season and tagged Atlanta Braves, Carlos Beltran, David Freese, Joe Kelly, Matt Carpenter, Matt Holliday, Shane Robinson, St. Louis Cardinals by Christine Coleman. Bookmark the permalink. Thank you Christine Coleman, for loving Joe Kelly almost as much as his family does!! A good time to be a Kelly…. Glad to be a member of his support team and ride in his Ferrari!! !